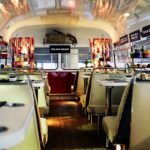 Gin Afternoon Tea Bus Tour, Glasgow – for Two or more. 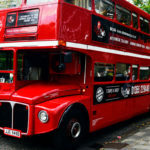 Tickets at the ready girls for a fabulous afternoon out with a Gin Afternoon Tea Bus Tour of Glasgow. Scotland’s other capital city (and dare we say more edgy), Glasgow has a fantastic vibe. 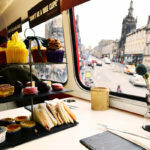 Renowned for its stylish stores, bars and restaurants why not combine them all with a city sightseeing tour, tasty afternoon tea and delicious teapot gin cocktail. 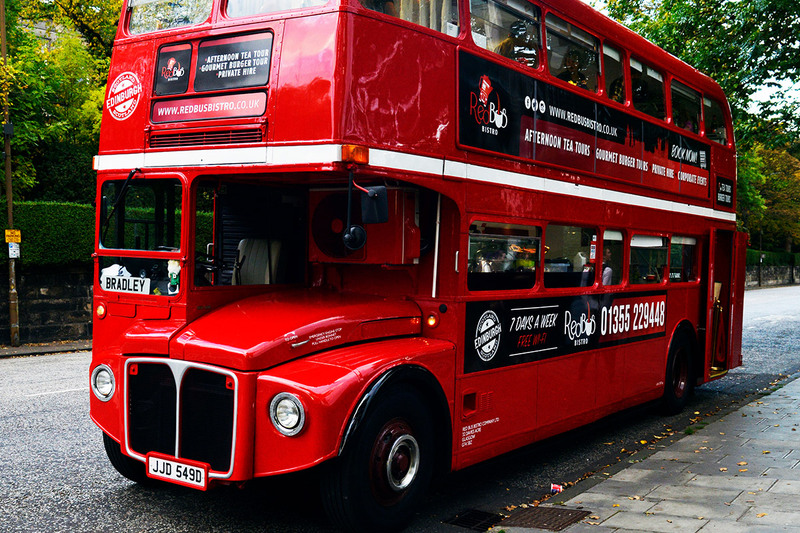 Cameras at the ready as you climb on board this beautifully refurbished, retro 1966 Routemaster bus. Settle into your comfortable booth before being served a blissful gin cocktail infused with fresh herbs and mixers served in a glass teapot complete with edible flowers. Tuck into your tasty afternoon tea as you tour Glasgow’s bustling streets. Indulge in a selection of savoury bites including delicate finger sandwiches filled with fresh, seasonal fillings. Tease your taste buds with a tempting selection of sweet treats including cakes, pastries and traditional warm scones served with fresh cream and preserves. Your afternoon tea is complete with your choice of tea or coffee. 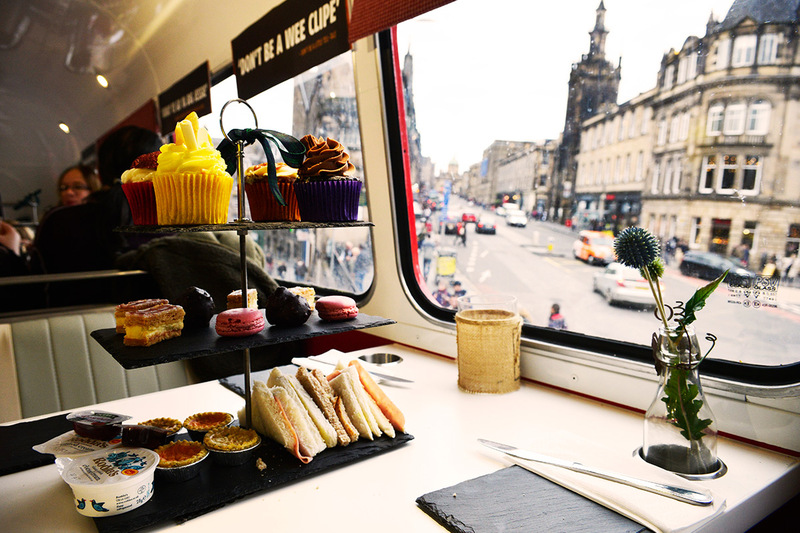 Your Glasgow afternoon tea bus tour leaves from George Square and will last for approximately 90 minutes. Please note that there are no toilets on this Glasgow bus – so please, pace yourself. Dinnae go swigging all the gin and tea in a wunner. This great day out is available to buy as a gift voucher from Virgin Experience Days. Available at £90 for Two, this would be a great gift idea for someone celebrating a special birthday or simply to treat yourself. Your afternoon tea bus voucher is valid for 9 months so there’s plenty of time to organise the diary. To book or for further information, simply select the Book Now button below. 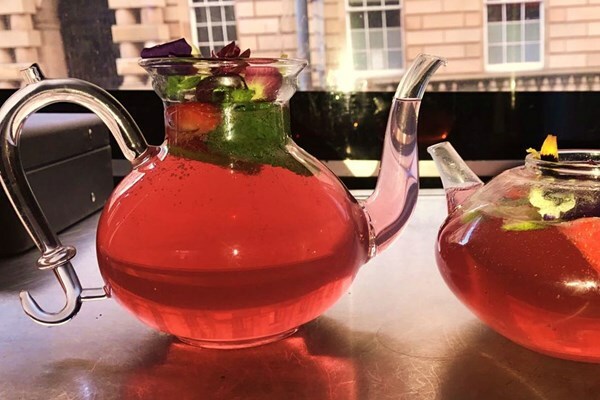 To Book the Glasgow Gin Afternoon Tea Bus Tour select the Book Now button below.